This interview is the third in a series of interviews conducted by Esteban de Backer to question the status quo of efficiency in architecture. Yoshiharu Tsukamoto and his wife Momoyo Kajima started their activity as Atelier Bow-Wow in 1992. The Tokyo-based practice is renowned for their domestic and cultural architecture and theories, especially their work surrounding the concept of “Behaviorology.” The pair has published eleven books, including the Pet Architecture Guidebook. Tsukamoto is a professor in the Graduate School of Architecture and Building Engineering at Tokyo Institute of Technology. ESTEBAN DE BAKER: …yes, that’d be great! 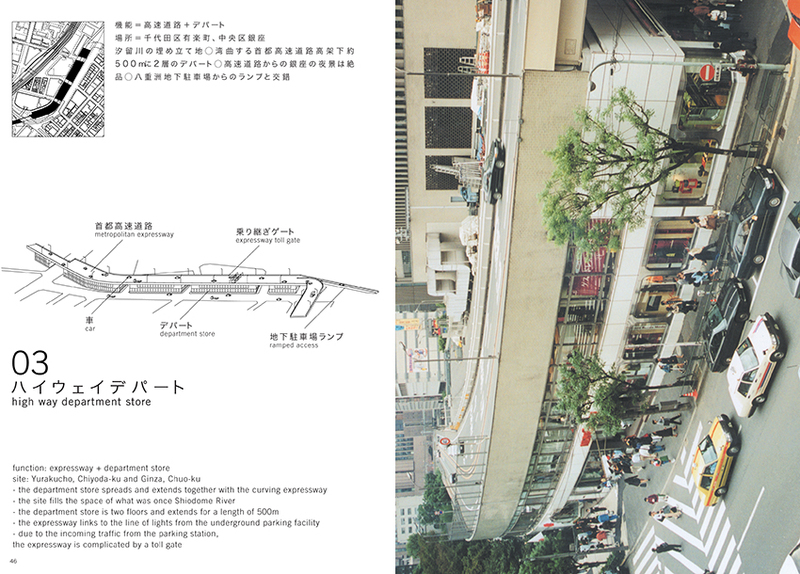 YT: [reading the first postcard] “What are the influences upon architecture you discovered while looking at Tokyo? What are the consequences?” That’s difficult [laughs]. EdB: My thesis is about efficiency. I am interested in Made in Tokyo because I think you discovered a kind of efficiency in the city. 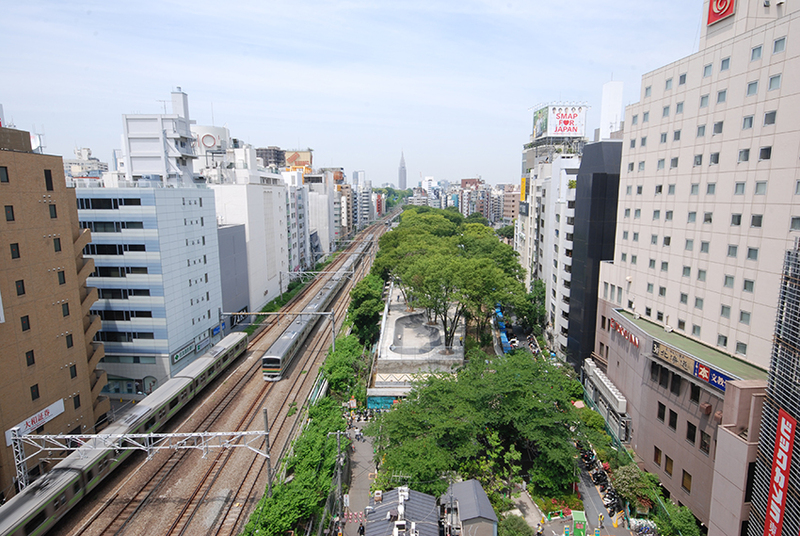 The way Tokyo “works” as a city fabric is efficient because it is determined by its inhabitants’ own behaviors. YT: …yes, efficiency within limitations. These limitations are givens from the history of Tokyo. The city was totally destroyed twice, in 1923 by the earthquake and in 1945 by air raids in the war. So loss, especially from the war, was quite a fundamental condition for the reconstruction and the growth of the city of Tokyo after World War II. I think Japanese people somehow like to do their own best even in difficult conditions. This struggle within limitations and constraints over time has achieved a certain quality of avant-garde creation and avant-garde construction in architecture. I think the way to see Tokyo—as Made in Tokyo does by cataloging strange hybrid buildings—is to see our condition and people’s practice of space in a very positive way, even if they are also very cynical because they “fix” the loss from the war. This ambivalence is very interesting to me. It is the …how do you say?…charm of Made in Tokyo. I wrote this book with love and hate. We love these buildings, but we hate them at the same time. Since they have already been built in a particular manner, they have become an irresistible nature of the city, which actually surrounds what we are doing, where we are living, and what we are designing. 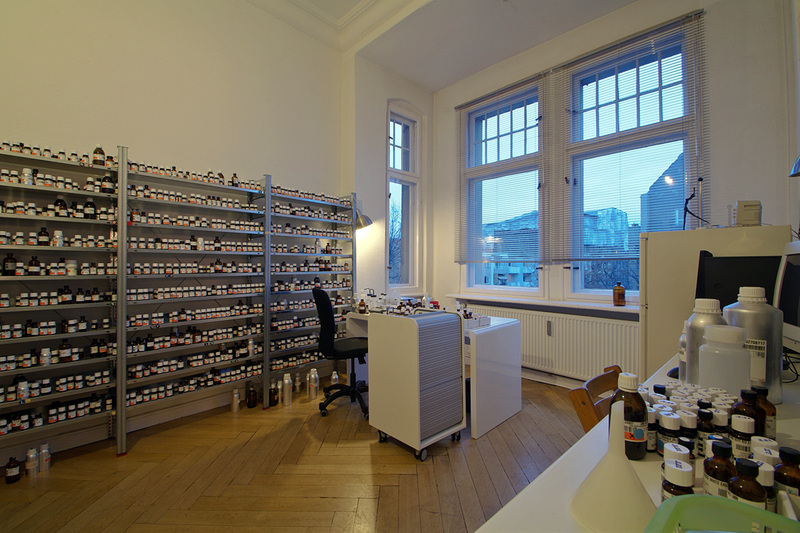 They can open huge variety in the combinations of different elements available in the city. But at the same time a design project can be very critical of what cities are doing and how we are constructing. EdB: In your book you describe “da-me architecture,” as buildings “giving a priority to stubborn honesty in response to their surroundings and programmatic requirements, without insisting on architectural aesthetic and form.” 1 You identify its strategies as structural sharing, programmatic hybridization, and temporality of use. Even if it’s not planned, there is a certain “ecological” balance among architecture, the constraints of the site and the city’s history, as you just explained. This is neither a calculated nor quantified efficiency per se ; it somehow responds to the city’s “natural” behavior. Nevertheless, there is an efficient operative mode embedded within the buildings depicted in Made in Tokyo. They optimize the performance of external factors. What does “efficiency” mean in relation to your practice? How have you mobilized the readings you made of Tokyo as a starting point of your work? YT: A design project should address efficiency and the optimization of a given condition. Otherwise, we lose our position in society, as architects. 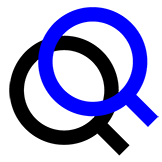 We naturally think about optimizing value and making something more efficient than a given condition. This is not unique to Tokyo. It is something intrinsic in architectural design itself. But in the case of Tokyo, I prefer to talk about pragmatism. American pragmatism is especially interesting to me—its theoretical framework is based on the idea that while we don’t know everything, we can start working with a limited condition of things we do know for sure, and search for a direction based on them. Only a proposition—or hypothesis—and feedback from its results can affirm what is certain or not. EdB: I think that’s interesting because the city of Tokyo adapted after the war without any prejudice, and without an aesthetic. As you mentioned in Made in Tokyo, buildings in the city “are not ‘pieces’ designed by famous architects. 2 What is nonetheless respectable about these buildings is that they don´t have a speck of fat.” It adapted and evolved “naturally.” In your projects there similarly seems to be no prejudice towards aesthetics. As you said, you analyze a situation of site and program, respond with an architecture that puts aesthetics aside, solve the problem, and then put aesthetics back into the question. So the driving force of the projects is what is efficient or pragmatic for solving a given problem. How do you see the process of natural adaptation in your work? How do you operate in that sense? YT: You mentioned the idea of a spatial practice without prejudice for an aesthetic framework. Almost fifteen years ago, I also saw this as natural, but now I have a slightly different opinion. Actually, it seems people ignore the aesthetics from traditional Japanese architecture in their own practice of space in the city. Of course we still keep many aesthetic qualities from that time, especially in food and fashion—both things that were not destroyed by the war. Since architecture in the city was totally destroyed, architecture showed directly the fact that Japan was defeated. I’m sure people were very shocked and damaged. At that time, this term PTSD (post-traumatic stress disorder) didn’t exist, but people were probably in the condition of mental instability that lasts after an act of terrorism or war. In order to recover from this trauma and to hide from it, I think people tended to be pragmatic in putting the traditional aesthetics aside. 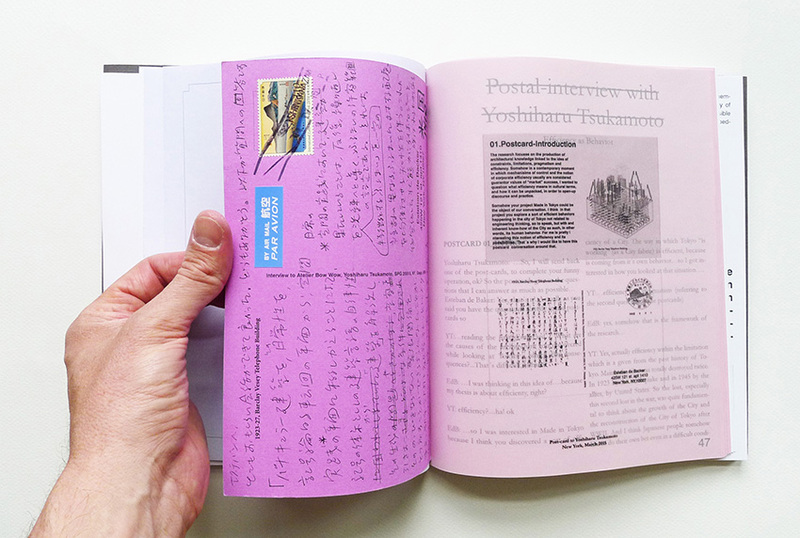 But your question was [reading the postcard] “How have we adapted the attitudes from Made in Tokyo or the city of Tokyo in our design practice?” For us, it is important to identify the conditions which construct a narrative of a project. We introduce them together in the same platform. Then we see how these conditions start interacting each other. We let them evolve in their own way until they find a balance among themselves. 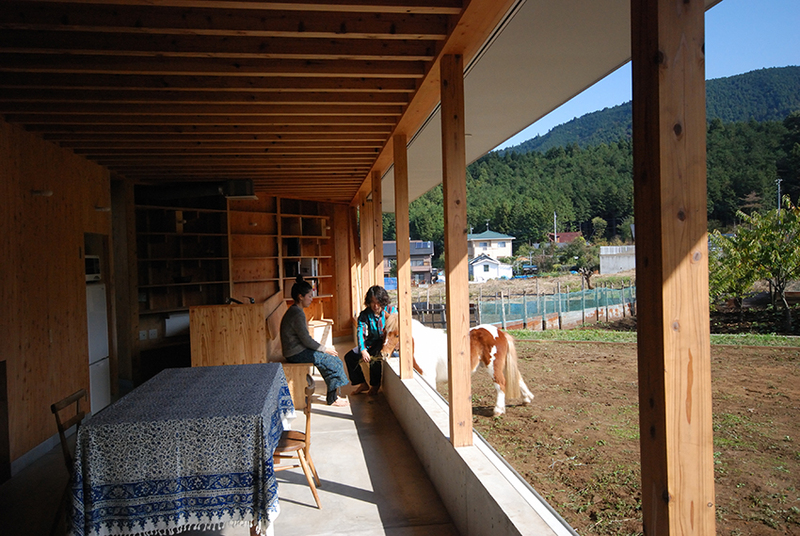 In the case of Pony Garden, the client’s wish to live together with a pony after retirement and a very tight budget met at the idea to build the building for the pony, and let humans step down from a position of main subjectivity in the project. We watch this procedure and support some elements that can have a strong impact on transforming the project—these form a kind of foundation upon which many behaviors of people and nature can emerge. We control physical things—tangible things like architecture, ground, furniture, and so on—to create better capacity for these different behaviors. But at every step, we make decisions, and for each decision, we introduce our preferences. I think the accumulation of these preferences can finally appear as a kind of aesthetics. To say it simply, we propose something by bringing forward new considerations that are necessary in each project. These proposals always produce problems, as well. At the beginning, it is always very interesting to solve these problems by enriching the initial proposals. Through repetitive feedback, everything starts to fit, and takes its own place at once. This is what we always try to do. EdB: Contemporary architecture, especially commercial architecture, uses efficiency as justification for architecture as an economic product. Big office towers rising in the middle of Manhattan are products of a “design by market profit” mentality. They appear “justifiable” because they come from a quantitative way of thinking, but they also involve a set of qualitative preferences and aesthetics. As a believer in architecture as a cultural practice, I would argue that efficiency operates with a more varied set of interests to produce unexpected outcomes. YS: There are many forgotten resources in the city. If we find efficiencies by using them, resources emerge from nothing! Design can create value. EdB: You mentioned the issue of behavior. You have dealt with Tokyo as a found condition, finding resources in the existing fabric of Tokyo that were a product of its traumatic past. 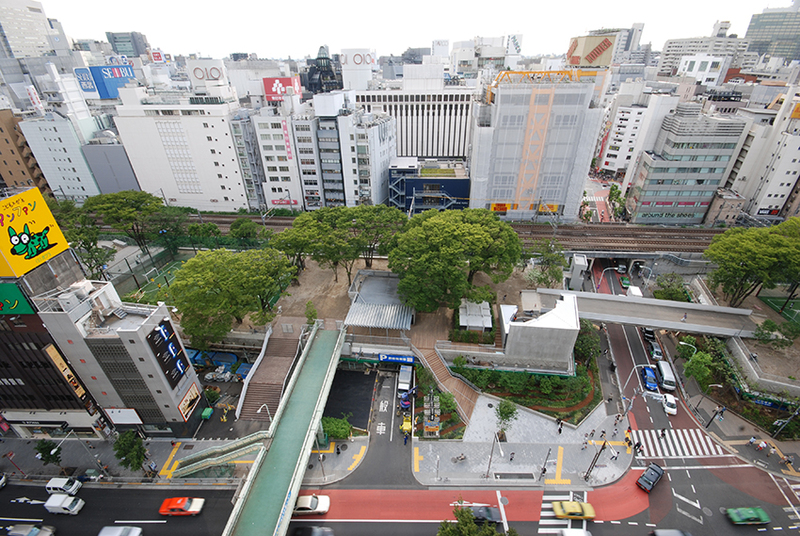 What can we learn from Tokyo as a set of found behaviors? More specifically, how does architecture spring forward not from our own prejudice but from existing urban conditions? YS: I see behavior through the lens of structuralism. Our approach to behavior focuses on the composition of different conditions and circumstances. If circumstances are set, people start behaving in a certain way—in a very natural way. The way of setting these circumstances could be broken down into different conditions which carry different elements. Natural elements or human beings are thrown into these prepared, constructed conditions, which establish behavioral capacity, and they start to behave based on their nature within it. Behavioral capacity is always constructed by physical elements together with its historical and social context. So when we investigate behavior, we analyze it in this way. All these conditions, which produce certain behaviors, can become potential resources that we utilize. EdB: Your work is related to the notion of “the ordinary,” and the process of “learning from.” In Made in Tokyo, you quote Bernard Rudofsky as someone who looks at vernacular architecture, or buildings not designed by architects, as a resource. You learned from Tokyo, and from an ordinary condition with its own past. How do you think about the ordinary in relation to Made in Tokyo and to your own practice? Can you expand on your use of the word ordinary, which can be linked to Robert Venturi, Denise Scott Brown, and Steven Izenour, among others, as an architectural project in the 60s and 70s? YS: I have shifted the notion of the ordinary from its use in semiotic epistemology to practice-based thinking. In the ’60s and ’70s, when architecture theory was influenced by structuralism, semiotics and linguistics, the ordinary—and vernacular architecture—was introduced to criticize the heroism of modernism. In a superficial way, architecture’s role was seen as the formation of different shapes that could be understood as difference within a system of signs. 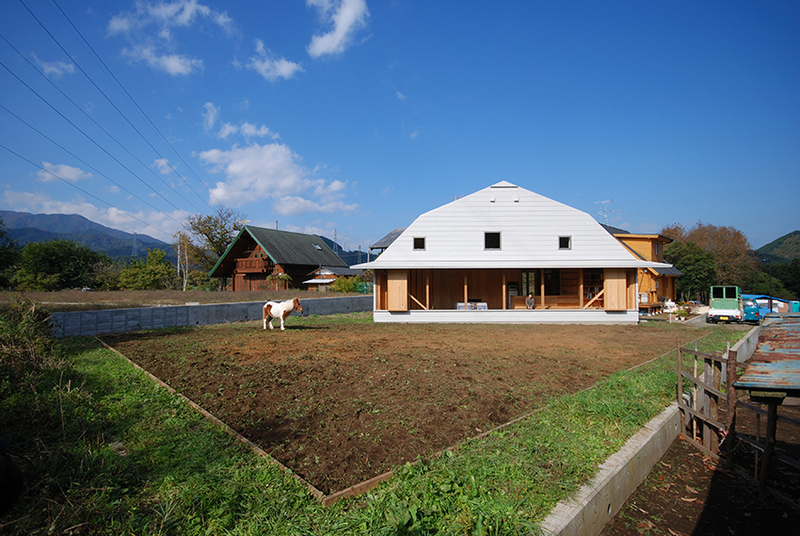 This approach missed opportunities behind the emergence of vernacular architecture. Made in Tokyo is also about banality and the ordinary, but we are interested in how buildings are made by people’s practice and not by architectural discourse. Even without architectural theory, the city of Tokyo produced so many interesting buildings. 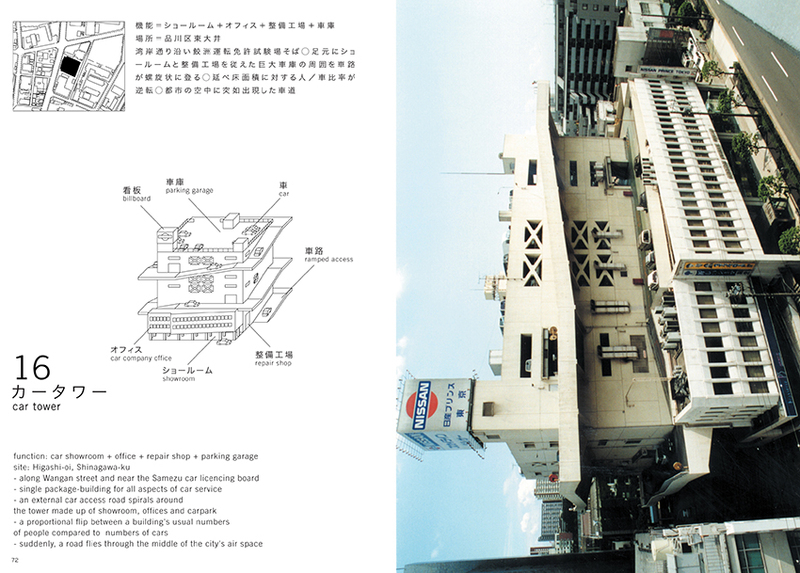 We were very inspired by these aspects of Tokyo and tried to develop an eye to see architecture based more on practice. When you look at vernacular architecture, you can see it is something repeated in history. This is very important. We can say this is not ordinary, but repetitive, repeatable and repeated. And then we can start imagining how typologies in vernacular architecture have became so sophisticated, and how they have acquired the ingredients to deal with so many different conditions. Most of vernacular architecture has dealt with natural conditions in a place, community matters, religion, and so on. So many different constellations were integrated into one physical entity, and this is the intelligence of vernacular architecture. But this understanding of vernacular architecture is blocked and disturbed by a semiotic point of view. When we wrote Made in Tokyo, we discovered Architecture Without Architects by Rudofsky as a kind of consequence of spatial practice by people, and this was extremely important for us. EdB: This process of shifting from semiotics to practice will keep us socially relevant as a profession. Otherwise we become fashion designers instead of tailors. We would become less embedded in the material conditions of those who would actually wear a dress! This is what links our cultural production to society and how people perceive architects. YT From this idea of design practice, we started to become interested in behavior. Behavior is something repetitive: It emerges every day, every week, and every year in certain conditions. It also brings the scale of time into a discussion of architectural and urban space. This is quite different from semiotics. Semiotics can tag a certain period in history, but it really doesn’t introduce a sense of time which is still living today. So this is a big shift! EdB: How can we look at efficiency as a creative tool? When you look at a building code that governs the design of a new typology of small houses in Tokyo, for example, you take a very close look at regulations and the way the neighbors behave. You come up with an idea that is far away from a solution already in place, and you invent something. How do you see creativity in relation to efficiency? YS: I think certain codes always discourage creativity. But if you have certain values you want to establish in a project, you can create a friction with this code. For example, we might want a house to be as big as possible despite restrictions on height and distance from the street. These are different considerations that conflict with each other and could be seen as contradictions in one project. But a space can somehow keep these contradictions. In architectural design, we can find some very inventive ways to treat these values equally in a project. In this way, a building can reflect the status of conflict. This really animates a space itself. As we treat conditions that conflict with each other, of course we give priority to certain conditions, but overall we keep the conflict and contradiction as it is. This means there is a kind of democracy of conditions. We take them as independent entities with equal value. This is a way for architects to step down from a position of subjective governance. I think that’s very ethical! EdB: That’s a great thought. That covered what I wanted to talk about. Thank you very much for your time. YS: No, thank you very much. It was a very interesting discussion. EdB: It would be great if you could send me one of those postcards back, so they complete their whole trip. YS: I´ll keep nine but send you one. EdB: You can actually write it in Japanese if you want. YS: [laughs] Okay, thank you very much. Bye-bye.